National Vulnerability Database - Last 8 Days - Analyzed. IBM Security Guardium 10.0, 10.0.1, 10.1, 10.1.2, 10.1.3, 10.1.4, and 10.5 Database Activity Monitor does not require that users should have strong passwords by default, which makes it easier for attackers to compromise user accounts. IBM X-Force ID: 132610. National Vulnerability Database - Last 8 Days - Not Analyzed. Buffer overflow in AES-CCM and AES-GCM encryption via initialization vector in snapdragon automobile, snapdragon mobile and snapdragon wear in versions IPQ8074, MDM9206, MDM9607, MDM9635M, MDM9640, MDM9650, MDM9655, MSM8909W, MSM8996AU, SD 210/SD 212/SD 205, SD 410/12, SD 425, SD 427, SD 430, SD 435, SD 439 / SD 429, SD 450, SD 615/16/SD 415, SD 625, SD 632, SD 636, SD 650/52, SD 810, SD 820, SD 820A, SD 835, SDA660, SDM439, SDM630, SDM660, SDX24, Snapdragon_High_Med_2016. 20 years ago, on the 23rd December 1998, the first version of OpenSSL was released. OpenSSL was not the original name planned for the project but it was changed over just a few hours before the site went live. Let’s take a look at some of the early history of OpenSSL as some of the background has not been documented before. Back in the late 1990’s, Eric Young and Tim Hudson were well known for their work on the open source SSLeay library. SSLeay was widely used with Apache and (then) third party SSL modules to create open source secure web servers. In 1998 they both worked for C2Net, enhancing SSLeay and the products using it. C2Net was known for its flagship product, the Stronghold web server, a packaged and compiled product built on open source software with both support and, crucially, the ability to be used world-wide with strong encryption. It seems trivial now but back then cryptography products exported from the US like web servers and browsers were hobbled to use limited weak cryptography. Eric and Tim had decided to leave C2Net to join RSA, a creator of a commercial SSL toolkit, so the future of SSLeay was unclear. This led to the genesis of the OpenSSL project through a discussion I had with Ralf Engelschall, a fellow core Apache developer, on 14th October 1998 in San Francisco at the first ever ApacheCon. We picked up the discussion a few months later, set up a mailing list on December 16th, and invited Stephen Henson, an SSLeay expert, to participate in what we then called OpenTLS. Ben Laurie, a core Apache developer and author of Apache-SSL, also independently announced his intention to start a new version of SSLeay a couple of days later. Ralf took the source code from the public SSLeay versions 0.8.1 and 0.9.0b and the unreleased 0.9.1b version from C2Net and imported them into the OpenTLS CVS repository. We did some cleanup work on the files, added some patches from ourselves, and added some well known patches from the community to form the 0.9.1c version. At the very last minute, just before going public, we changed from using the OpenTLS name to OpenSSL: the upcoming TLS protocol RFC had not yet been published and the acronym was relatively unknown at that time whereas the SSL acronym was widely recognised and so using SSL in the name would help users understand the transition from using SSLeay to OpenSSL. We had fortunately reserved both domain names. On the 23rd December 1998 we opened up the www.openssl.org site and released the OpenSSL-0.9.1c version and source code repository. Throughout that busy week we were communicating with Ben and Stephen to align and merge our projects, and so shortly after the Christmas holiday we made the full project release announcement. The initial project team was therefore comprised of Ben Laurie, Paul Sutton, Ralf Engelschall, Stephen Henson and myself, Mark Cox. All but Stephen Henson were core developers of the Apache HTTP Server. For the first 15 years, OpenSSL membership was mostly a small collection of individuals working on a part time basis and the membership fluctuated and changed through those years. Approximately 5 years ago we expanded the group and introduced formal policies. As of today we have a structure where a team of committers are able to review and commit changes to the code, and a management committee oversee the project. OpenSSL is funded mostly through the generous donations of sponsors. We also have paid support contracts and occasionally take on contracts to develop certain new functionality. We use this funding primarily to pay fellows to work full time on the project. The fellows maintain the infrastructure, fix bugs and security issues, review patches, and much more (you can see what they are up to from their monthly reports sent to the openssl-project mailing list). Many companies also donate staff time to work on OpenSSL. The 20th year looks to be an exciting one, with a major change to the version number scheme, the switch to the Apache License 2.0, and a new FIPS validation project just for starters. And although all the versions of SSL are now deprecated, it’s not likely we’ll rebrand back to OpenTLS any time soon. 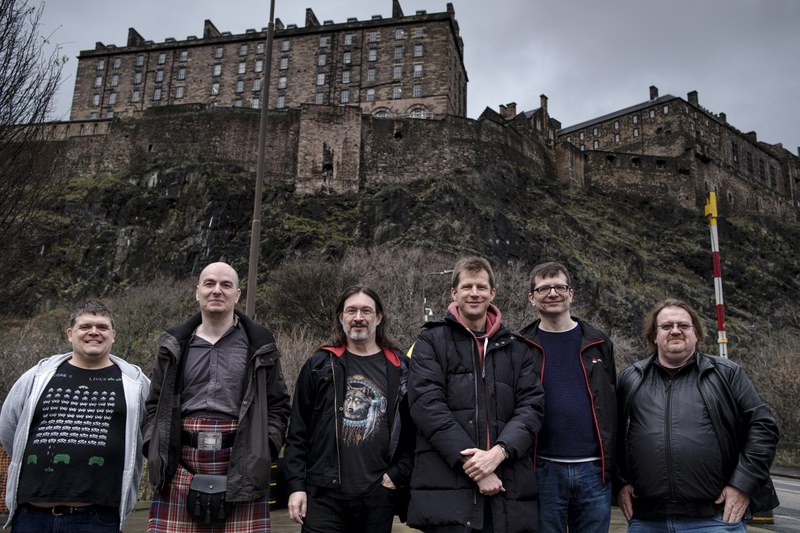 Picture showing OpenSSL Management Committee during a face to face meeting in front of Edinburgh Castle, November 2018. Left to right: Paul Dale, Kurt Roeckx, Richard Levitte, Matt Caswell, Mark Cox, Tim Hudson. Viktor Dukhovni (not pictured) joined us virtually. The OpenSSL Management Committee has been looking at the versioning scheme that is currently in use. Over the years we’ve received plenty of feedback about the “uniqueness” of this scheme, and it does cause some confusion for some users. We would like to adopt a more typical version numbering approach. In practical terms our “letter” patch releases become patch numbers and “fix” is dropped from the concept. In future, API/ABI compatibility will only be guaranteed for the same MAJOR version number. Previously we guaranteed API/ABI compatibility across the same MAJOR.MINOR combination. This more closely aligns with the expectations of users who are familiar with semantic versioning. We are not at this stage directly adopting semantic versioning because it would mean changing our current LTS policies and practices. The OpenSSL Management Committee (OMC) on behalf of the OpenSSL Project would like to formally express its thanks to the following organisations for agreeing to sponsor the next FIPS validation effort: Akamai Technologies, Blue Cedar, NetApp, Oracle, VMware. Four weeks ago, the OpenSSL team gathered with many of the organisations sponsoring the next FIPS module for a face-to-face meeting in Brisbane, Australia. We got a great deal accomplished during that week. Having most of the fips-sponsor organisations in the same location helps ensure that we are all on the same page for the decisions we need to make going forward. It has been more than seven years since the commencement of the previous FIPS140 module work and many things have changed during that time, both in terms of requirements of the Cryptographic Module Validation Program (CMVP) and the OpenSSL code base. For the current validation effort, input and assistance from a small group (the five fips-sponsors) is essential to achieving the outcomes of the project in this area - a validated module that is usable by itself and can also form the foundation for other companies to perform their own validations for any areas where there are specific requirements outside the general scope. As the project moves from high-level design to detailed design, prototyping, development, testing, documentation and quality assurance, we plan to make information available to the OpenSSL community for review and comment - as the next FIPS140 module will be substantially different to the previous approaches. We are mindful of the end-of-life date for OpenSSL-1.0.2 (31-Dec-2019) and the end-of-life (sunset date) of the existing OpenSSL FIPS Object Object (29-Jan-2022) and our objective remains to have a validated cryptographic module in place well before 31-Dec-2019. The headline new feature is TLSv1.3. This new version of the Transport Layer Security (formerly known as SSL) protocol was published by the IETF just one month ago as RFC8446. This is a major rewrite of the standard and introduces significant changes, features and improvements which have been reflected in the new OpenSSL version. What’s more is that OpenSSL 1.1.1 is API and ABI compliant with OpenSSL 1.1.0 so most applications that work with 1.1.0 can gain many of the benefits of TLSv1.3 simply by dropping in the new OpenSSL version. Since TLSv1.3 works very differently to TLSv1.2 though there are a few caveats that may impact a minority of applications. See the TLSv1.3 page on the OpenSSL wiki for more details. The ability, in certain circumstances, for clients to start sending encrypted data to the server straight away without any round trips with the server required (a feature known as 0-RTT or “early data”). The default RAND method now utilizes an AES-CTR DRBG according to NIST standard SP 800-90Ar1. Support for multiple DRBG instances with seed chaining. There is a public and private DRBG instance. The DRBG instances are fork-safe. Keep all global DRBG instances on the secure heap if it is enabled. A new STORE module, which implements a uniform and URI based reader of stores that can contain keys, certificates, CRLs and numerous other objects. Since 1.1.1 is our new LTS release we are strongly advising all users to upgrade as soon as possible. For most applications this should be straight forward if they are written to work with OpenSSL 1.1.0. Since OpenSSL 1.1.0 is not an LTS release it will start receiving security fixes only with immediate affect as per our previous announcement and as published in our release strategy. It will cease receiving all support in one years time. Our previous LTS release (OpenSSL 1.0.2) will continue to receive full support until the end of this year. After that it will receive security fixes only. It will stop receiving all support at the end of 2019. Users of that release are strongly advised to upgrade to OpenSSL 1.1.1. The OpenSSL team will now be moving our focus to the next release which will see us developing a new FIPS module.